Class 3 children from St Michael's Primary School enjoyed a busy day today in Durrington. 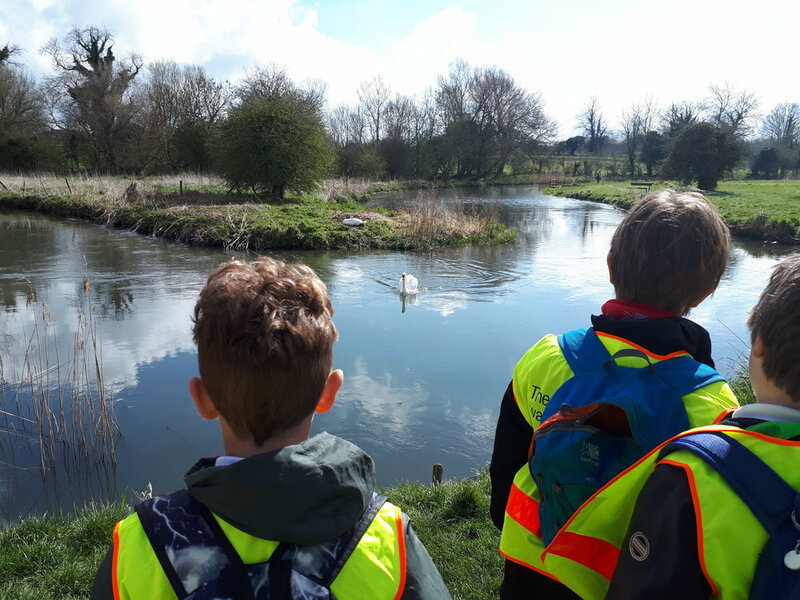 This morning, the children walked down into the village to learn about the river Avon. 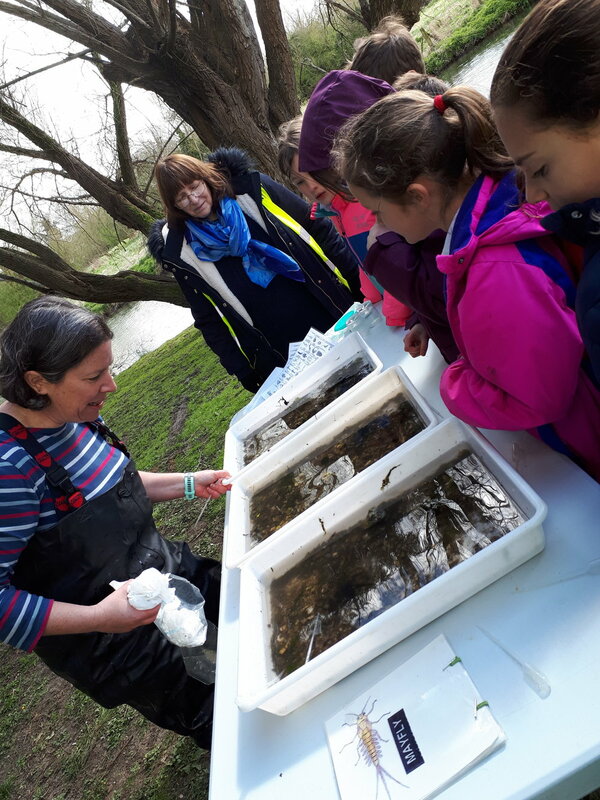 Mrs Hayden, from the Environment Agency, collected water samples and showed them some of the creatures living in the river, the children also walked along the river bank and discussed the features of the river they found and completed some water-coloured paintings of the scenery. The children were also lucky enough to see a fisherman catch and release a fish as well as seeing lots of other wildlife. 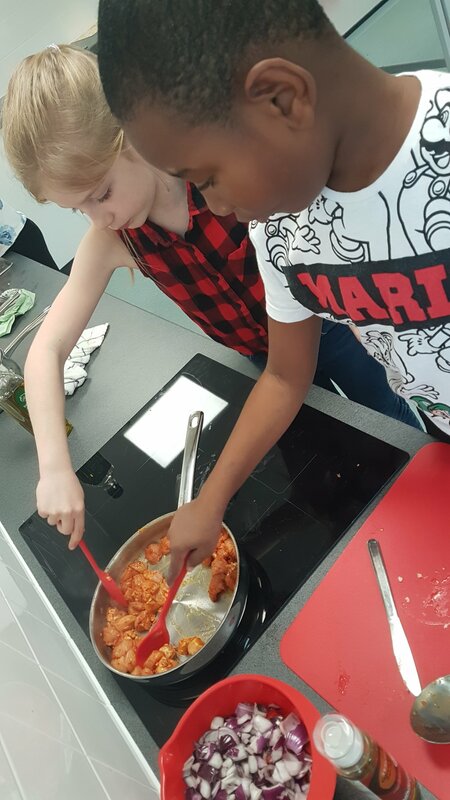 Pupils at St Michael’s have been cooking up a storm in enrichment! 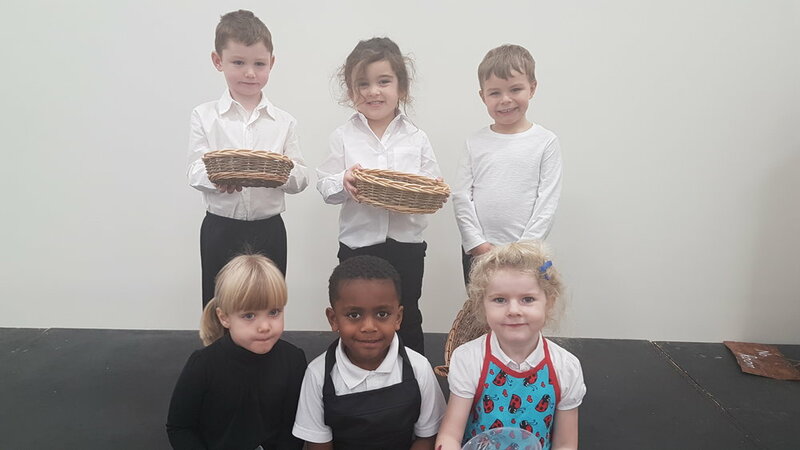 Every Friday, a small group of children work with Mrs Lafferty to develop their cookery skills and then take the final product home to share with their family. This term they have enjoyed making stuffed peppers, bruschetta, homemade burgers with salsa and banana muffins. A recent purchase of some sauce pans meant that the children were finally able to use the new hobs and rustled up chicken fajitas with guacamole - all from scratch . 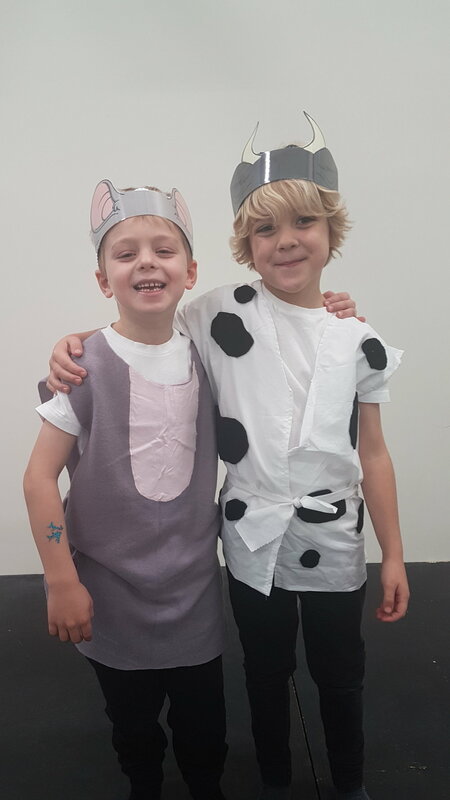 On 5th of march 2019, 19 children from St.Michael’s went to a brand new venue in Amesbury. They had been practising their routine and were going to show their skills in front of the judge. Their scores were added up to create a team score. All teams were part of the beginner routine; this involved forward rolls and balances. Eight teams in total were in this competition. There were individual prizes too: one for best girl and one for best boy in KS2 and the same for KS1. St. Michael’s took top girl in KS2- Imogen B, and top girl in KS1- Mia. Our school did really well with class 3 finishing 3rd, class 4 4th and class 2……… 7th, winning top KS1 prize… YAAAAAY!!! 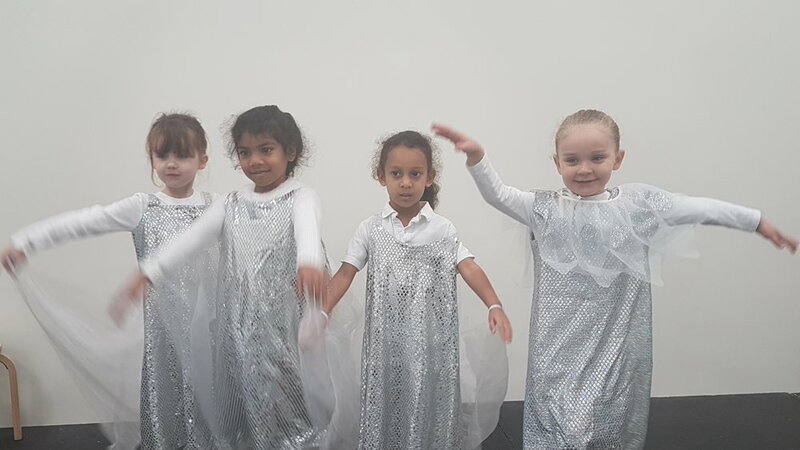 St. Michael’s were the first team to compete and the Year 3 and 4s held their nerve to demonstrate their routines in front of a judge for the first time. All 6 produced routines that were excellent. After their routine they could relax and enjoy the other activities such as vaulting, tumble track, tram-pet, cheer leading, beam, ball exercises and trio/duo balances, that were all to do with gymnastics. Class 4, Year 5 & 6, were able to keep their cool, remember the routine and also produced some brilliant balances and turns. 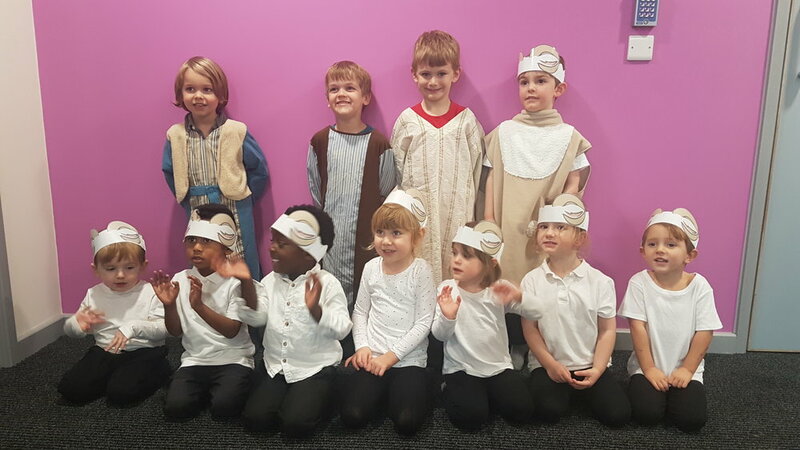 The final group for St. Michael’s was Class 2 children. As the youngest children in the school, they should all be very proud of their performances. It is not easy to remember a routine, keep balances steady and forward roll with style all at the same time! We did really well and we are looking forward to the next competition!!! It was a very sunny day in February. Amesbury Red: 3-0 to them, some good attacks on their goal and 3 or 4 shots just were not going in. Woodford Valley 4-0 to them, they were eventual finalist and won every game they played. We played well and were given praise for our determination. Collingbourne 2-0 to them. Both goals snuck through our defence as we were fighting around their goal for much of the match. Netheravon 1-0 to us. Probably the biggest cheer on the pitch as we had been so close to scoring in every single match and had been denied it. Woodborough 1-0 to them. Just missed by millimetres a ball that Livie and Georgia had been so close to getting in, then the whistle went, end of match ARGHH!! Castle School 1-0 for us. Great way to finish and we definitely deserved to win another match. We played a confident looking Amesbury Red in our first game. We made some excellent tackles and Georgia stopped a goal with great clearance and Lewis managed a long hit away when they were close to our goal. We just could not keep the ball and get it to the goal end that mattered to us….. theirs! Final score 3-0 to them. It was a good game to get us warmed up in defence, just as well we were warmed up as the next game against Woodford Valley was tough. They were the eventual group winners from our pool. Despite excellent attack from Ollie and Merlin, a goal did not come our way. St Michael’s school took part in a hockey festival on Tuesday 5 March at Wellington Academy Ludgershall. Well done to all who took part. Nine children from across the school went to a gymnastic festival. This included children from Year 1. They competed in a floor routine which was judged. The children were in teams against 8 other schools. After the competition, they then enjoyed a range of other gymnastic activities. The curriculum was collapsed at St Michaels this morning as the children took part in a carousel of activities to celebrate World Maths Day! The idea was to raise awareness of Maths in the real world with a wide range of activities reinforcing that Maths is all around us! The children were in mixed aged groups and took part in activities such as making rice crispie cakes, composition in Music, counting in French, solving Sudoku problems, playing dominoes and many more. Some of our eldest members of the school, from class 4, also gave up their time and helped Mrs Lafferty by running an activity. 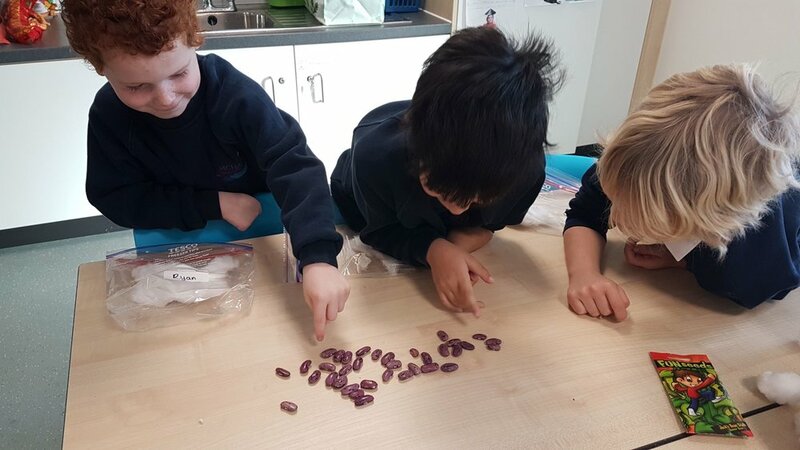 The youngest members of the school in Nursery also participated, experimenting with number patterns in playdoh and measuring lentils within their setting. A fantastic day was had by all! 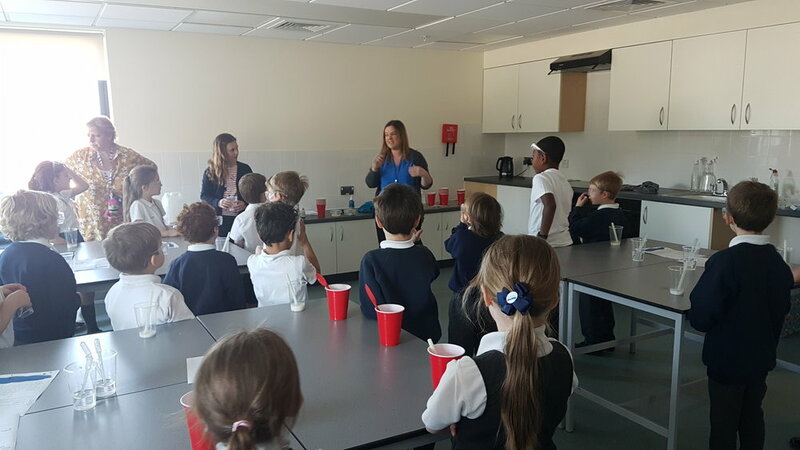 Wessex Water came into St Michael's Primary school this week to tell the children about the importance of keeping our water clean. The children learnt about the water cycle and Wessex Water's role in providing us with fresh water to drink. They also found out about how waste water is dealt with and the importance of flushing the right things down the toilet. 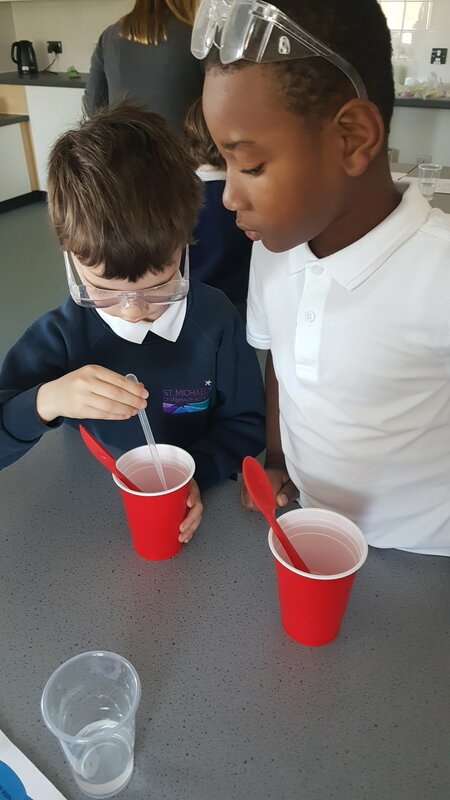 Class 3 continued their learning with a science experiment which clearly showed how different papers react in water and how toilet tissue is designed to completely disintegrate. As a conclusion to their topic learning on natural disasters and pollution, key stage 2 children from St. Michael’s Primary school enjoyed taking part in a Lego Mindstorm workshop. The children were challenged to make, design and programme robots to complete set tasks. Great fun was had by all! This term class 2 will be learning all about plants. 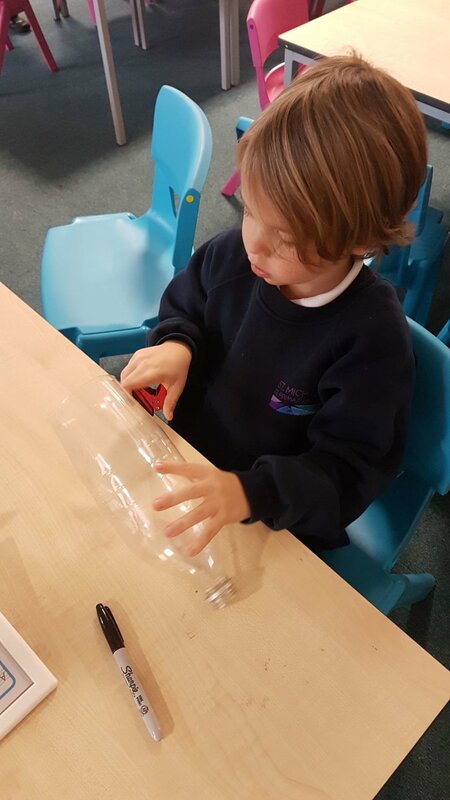 After finding some magic beans, we made our own greenhouses using plastic bags and have attached them to the window waiting to watch them grow! We discussed whether choosing a big bean means that the plant is going to grow the biggest, and look forward to finding this out. Come along and visit class 2 to see our magic beans on their journey of growth. 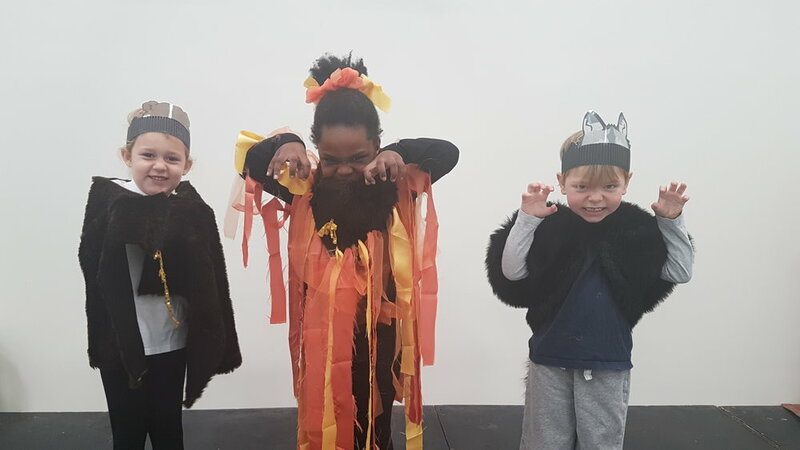 Our topic this term has been learning all about China, so we thought it was a perfect opportunity today to celebrate Chinese New Year s the children spent the morning completing a range of different activities linked to China. These included cooking their own spring rolls with Mrs Lafferty, finding lucky coins inside rice using chopsticks and creating Chinese drums with Mrs Dalton. Also very kindly, Mrs Hollis brought us in some more Chinese food to try and gave the children a pair of chopsticks to take away with them. A fantastic day was had by all! As part of our value of service this term class 2 children decided to make Christmas cards and give them to elderly people. With help from Mrs Hill, we were able to get a list of residents names and each one of them got a hand-made card. Some children then had the opportunity to deliver our cards to Amesbury Abbey. The residents really enjoyed our visit and so did the children! Prayer and Reflection Day is for the children to reflect and understand the meaning and importance of our school value of service. Jesus came into the world to serve as an example to us a bit like a St Michael’s shining example. He was a leader who behaved as a servant and taught us of the importance of serving others, modelling and demonstrating this through his life and teachings. Today is about getting ready for Christmas, looking at ways we can make a difference in the world to others by putting their needs first; thinking about what we can do to be little lights in our home, school, community and world community by looking out for and serving others. 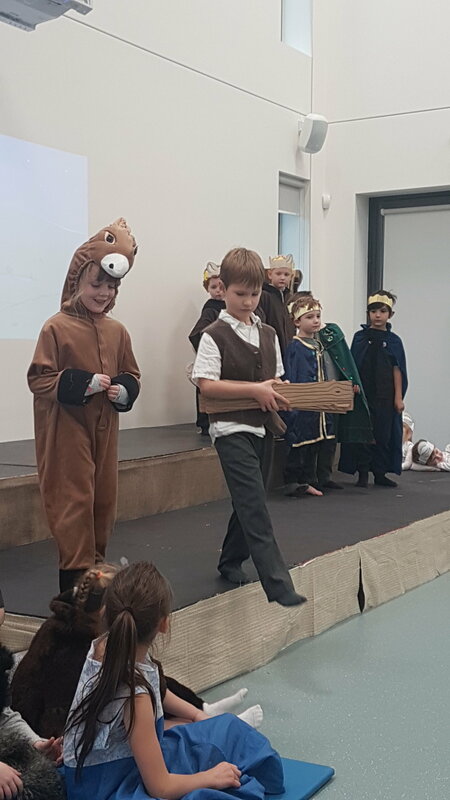 We started the day with Collective Worship in School hall led by Padre Birch, who shared the Good Samaritan story and made us reflect on who our 'neighbour' is. 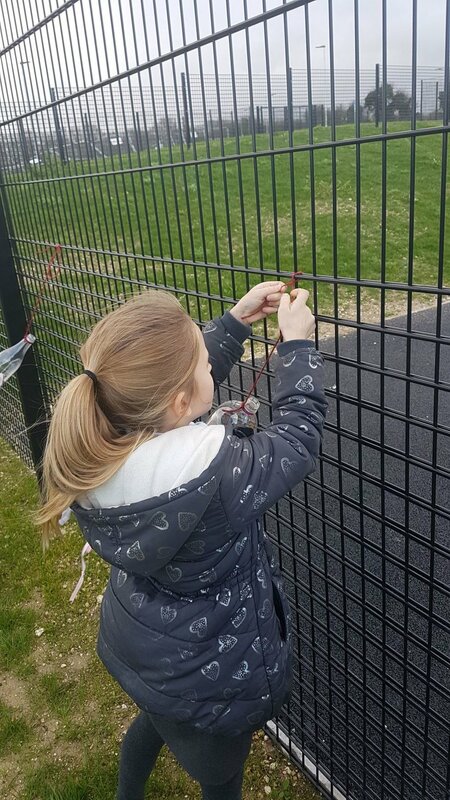 The children then took part in a variety of activities linked to thinking of others and making a difference to the lives of those around us by our thoughts, words and deeds. Mrs Lacey joined us for cake decorating and the JAM Club led a session on Helping Hands! These were thoroughly enjoyed by the children. Our Worship Council worked with Mrs Winter to make a Prayer Box that we'll use in school; children can write prayers to be shared as part of our future assemblies. We then all made Christingles and the Year 6 children led the school in a service they had written and prepared. They were absolutely fantastic and made us all reflect and think about the message of Christmas. Our Friend Philip blessed the Christingles and finished our special day. 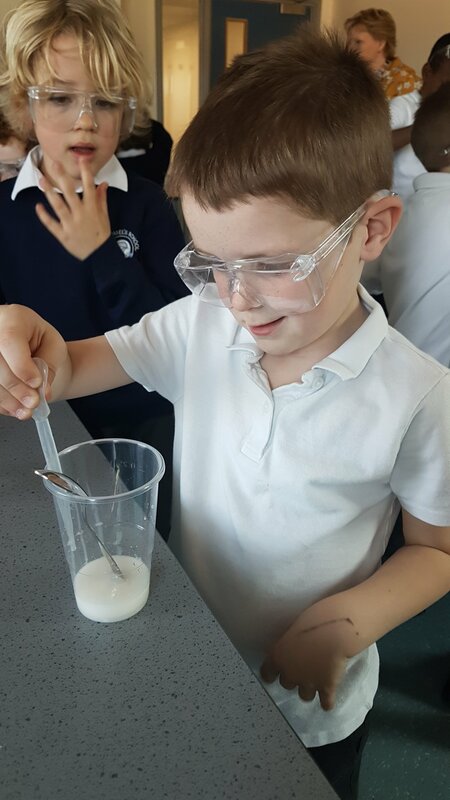 On Thursday last week class 1 and 2 went on a very exciting trip to Milestones Museum to consolidate our topic about toys this term. In the morning, we took part in some workshops where we investigated toys from the past and then got the opportunity to play with some of them. After lunch, we had some free time to explore the museum including going into the school room, an old fashioned sweet shop and many more things. It was such a fantastic day out and all the children had so much fun. On Wednesday 12th December, class 3 and 4 went on a school trip to the tank museum in Bovington because they were learning about the World Wars. Class 3 went into the trench. They sang silent night in the trench like they were a real soldier. Lots of people were saying that it felt like you are actually in the trench which would be an amazing experience. Lots of people said that they were getting itchy thinking about all those bugs and lice crawling up them but luckily there were no bugs as it was fake. Inside the trenches, Class 3 sang silent night and they opened a wartime Christmas parcel. Inside was socks, chocolates and a picture. A pupil called Bowden, got to dress up like a soldier. He said it was his favourite thing! Next, the children saw the tanks. As class 3 were really well behaved, they were lucky enough to go inside one! The children were so interested in the tanks that they asked Tom, the museum guide, to tell them the weight of the heaviest tank. It was 85 tonnes! Class 3 also went to the war horse exhibition and smelt the stable. Everyone said, "Yuck! Disgusting! what a nasty smell!" There were many types of horses and even a donkeys that were used in WW1. 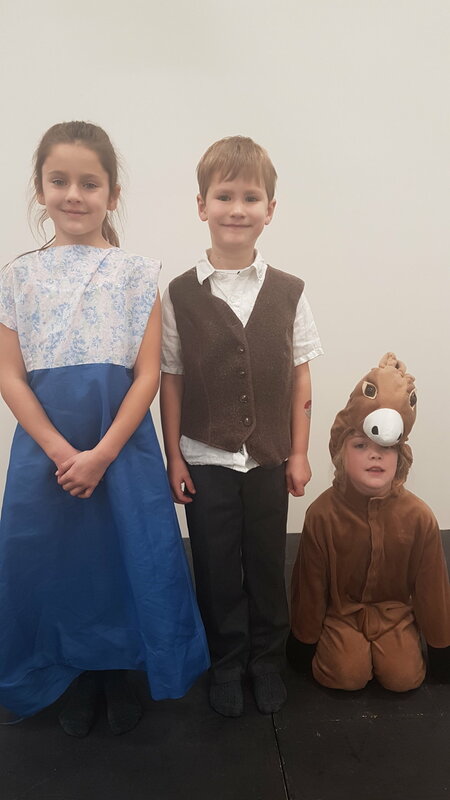 During a workshop ran by the museum staff, the children found out that horses carried swords so if a German soldier was in their way, they could stab them. They also found out that soldiers tied ropes to the swords so they could drag the sword out behind them. Class 3 report written by Henry G, Martha, Anya, Kimberley, Erin, Mungo, Henry R and Frankie. Class 4 also enjoyed going into and learning about the World War 1 tank. However, they participated in workshops relating to World War 2. 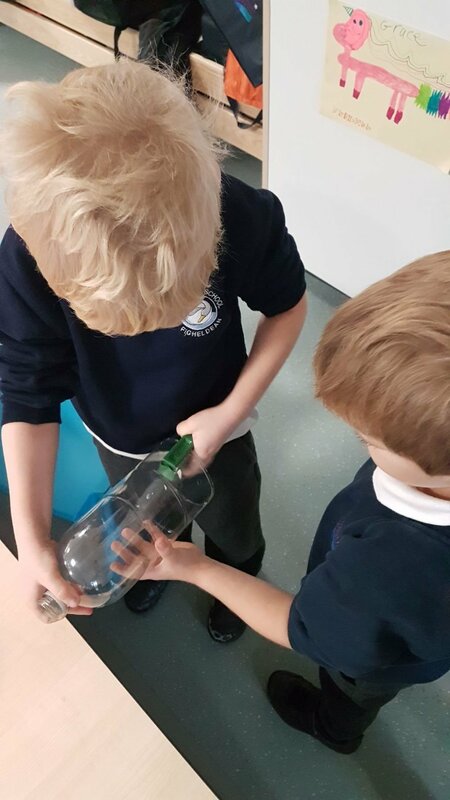 During the first, Class 4 learnt about the roles of Air Raid Wardens during the Blitz, the different types of bombs dropped on Britain, experienced and operated an air raid siren and learnt about the importance of the Women's Land Army. Their second workshop was focused on home life during the war. The workshop was held in a mock typical World War 2 style home. They learnt about how life at the time differed from today including toys that children had, rationing and what it was like to be in an Anderson Shelter during an air raid. Both classes enjoyed their trip. 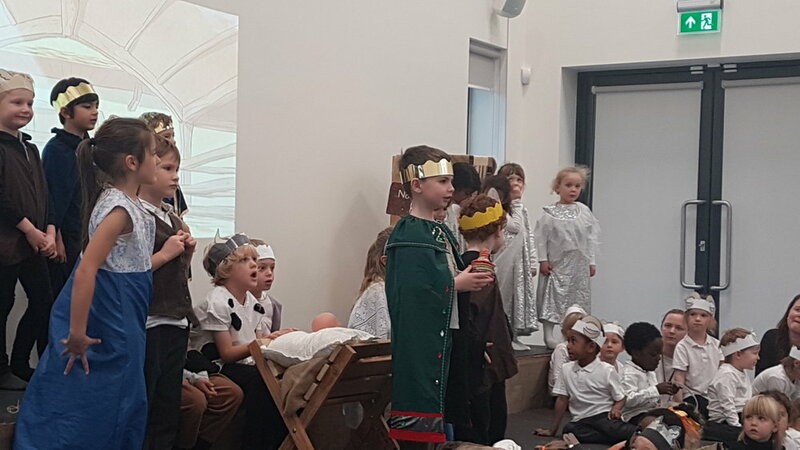 Back at school, the children presented their learning on World War 1 and 2 to parents in an assembly. St Michael’s School took part in Spire Fm’s Sleeps til Santa. Click below to watch the video. 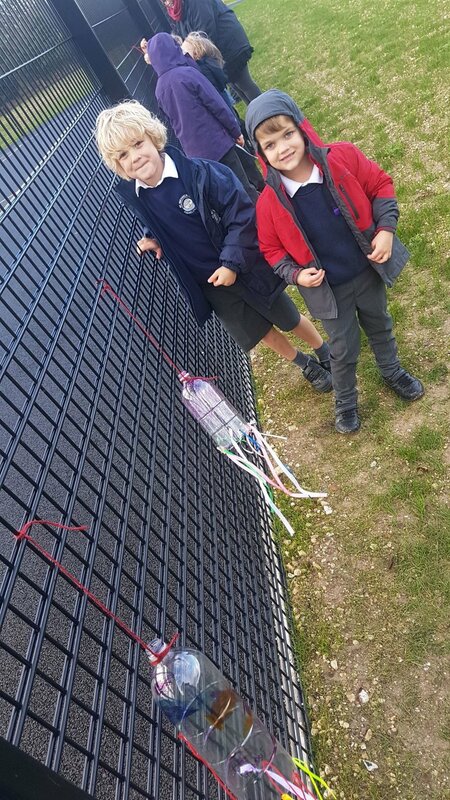 In Class 2, we have been combining our learning in Science and English, as well as using our creative skills, to make our own windsocks! After watching Mrs Lafferty, we wrote a set of instructions and then gathered the resources to make a windsock of our own. Finally, we went outside to hang them on the fence - luckily it was a windy day so we got to see them blow! Year 6 children from St Michael’s took part in the 50th Year of Christingle at Salisbury Cathedral on Thursday 11 December 2018. The Christingle service originated in the Moravian Church in Germany, and The Children's Society adapted and introduced it to the Church of England as a way to help disadvantaged children and young people. The first service took place on 7th December 1968. Since then the campaign has raised millions of pounds to support vulnerable children and young people across the country. A traditional service was led by the Dean of Salisbury, The Very Reverend Nicholas Papadopulos. It featured the Cathedral School Junior choir singing a new song 'Light a Candle' which was commissioned by The Children's Society to celebrate the 50th anniversary.